Languedoc is the region in southern France that extends from near Narbonne and the Spanish border in the south, along the Mediterranean shore north to the western bank of the Rhone River. Exactly how you define the place depends to whom you’re speaking or why you’re describing the ancient area. Named for the old language or tongue of the southland, Langue d’Oc, the land is rich in history and metaphor. Historically the largest quantity production area for french wines, and home of many excellent value reds, Languedoc has struggled recently to upgrade and define its image to wine lovers worldwide. 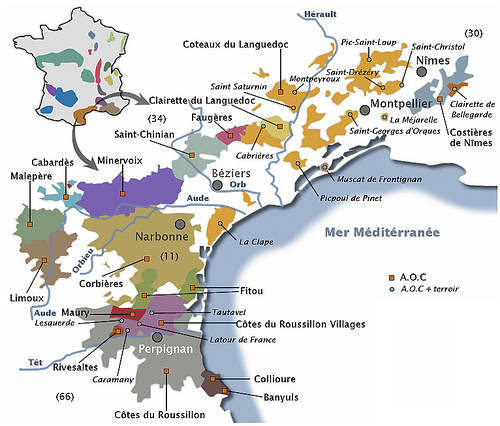 The new AOC, or Appellation of Controlled Origin structure, announced Dec 13 in Narbonne, is an effort in this direction. Whether it will be more successful is another question. The french love to play with words and it is a beautiful language, so why not? 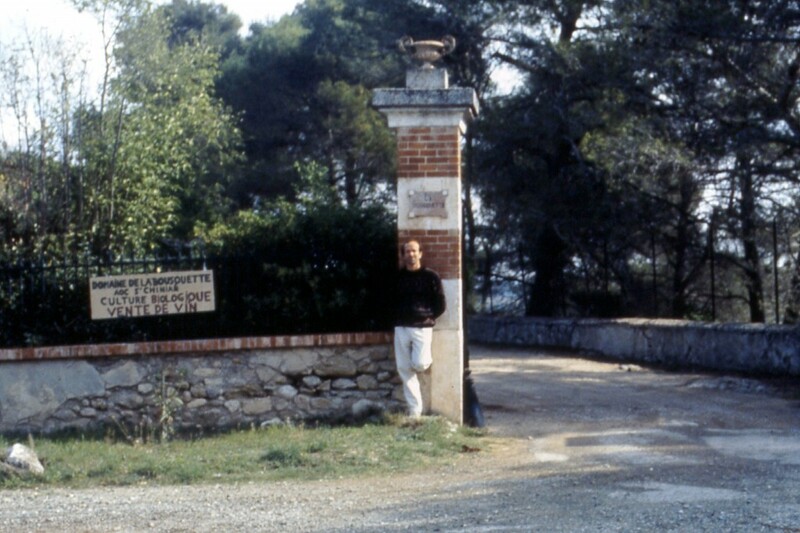 When I started importing in 1985, my first (organic) red wine was Domaine de la Bousquette, an AOC St Chinian, one of the few AOC areas in Languedoc. Had I known the rarity and value it was in 1985, I might have done better promoting Languedoc red rather than organic wine! As more villages petitioned for and received village or coteaux AOC status since 1980, there became no need for VDQS status. Meanwhile, many of France’s more prestigious regions were using more royal words like Grand Cru and Premier Cru, for their great and first level wines. It was only a matter of time before the country’s most humble and hard working area would create its own “great wines”. Now we have a new and improved nomenclature to define and elevate some wines of Languedoc to royal status. As all french wine regions now compete on the world’s wine shelves, no individual should do so without at least a few Grand Cru! Let the game continue. As of 2011, 60% of Languedoc AOC wines will be labeled as Grand Vin or Great Wine. This includes the AOC wine towns of Minervois, Corbieres, St. Chinian, Malpere, Faugeres, Cabardes, Limoux, Picpoul and all sweet Muscat wines of the region. These town names now apply to areas quite a bit larger than each of the named villages, as always happens once such a label is created. attached article and map for more detail. Now the remaining 30% of current AOC production will be labeled AOC Languedoc, and forms what a press release from Narbonne calls the “base level” of “wines perfect for everyday drinking”. How did the base level only get 30% of wines while the Great Wines have 60%? One would think the reverse order to equate great wine with limited, low production areas. But the goal is to use language to sell more languedoc wine, while spreading the wealth as much as possible, so a lot of politics came into the word game, as it does in every region. I’m in favor of selling more Languedoc wine if this helps that goal. It will take time for importers to educate customers and promote new labels, not to mention register them with the US TTB, who controls label wording here. But, a New Year and more Great Wines. And a few more “really great” wines. Who can ask for more! In our portfolio, look for a new label of Grand Vin on our old friend Chateau Bousquette, which way back when was Domaine de la Bousquette VDQS Languedoc, then Chateau Bousquette AOC St. Chinian. Still the same great wine as I found in 1985, no question about that, and a wonderful bargain with or without the words. 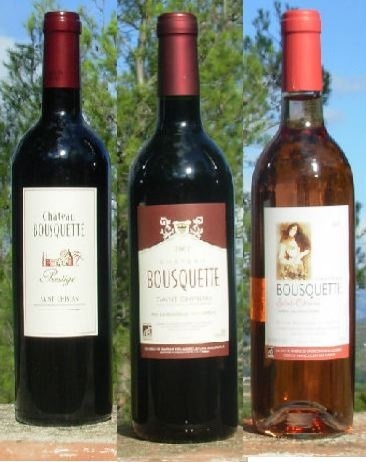 A good languedoc red like Chateau Bousquette really speaks of the local soils and fauna. You can smell the herbal scents of local plants with distinct floral notes, and taste rocky schist and clay soil on your palate. The local varieties of Syrah, Mourvedre, Carignan and Cinsault bring a medley of spicy, rich hints of leather and red fruits. This is a perfect wine for Mediterranean foods with olives, meat or tomato sauces. Chateau Bousquette St. Chinian Rosé brings some of this complexity in a light, refreshing style for the rest of your meals. Enjoy!